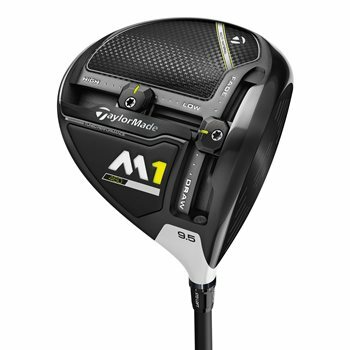 The TaylorMade M1 2017 driver was designed for distance, forgiveness, and complete personalization. The 2017 model features an all-new multi-material construction to save weight, adding 43% more carbon to the toe panel for twice the weight savings as the original M1. The redesigned T-track system increases the range of center of gravity movement by 64% compared to the original M1, providing you with the ability to adjust for a draw or a fade, and for low or high launch angles. The new, ultra-lightweight aluminum loft sleeve allows golfers to further adjust the driver with 12 different positions for your preference of face angle, loft and lie. The M1 2017 comes with 3 different stock shaft options depending on your preferred launch of high, medium or low, as well as over 25 other premium custom options all at no upcharge. Review by Sal, 3 months ago. Review by Rich, 7 months ago. It'll put them out there!! Review by J.B., 8 months ago. Review by Great driver, 1 year ago. Review by paul g, 9 months ago. Regular flex works best for swing speeds from 85-95 mph. Swing speed will only help in determining the flex. For 105MPH, you want a stiff flex shaft.